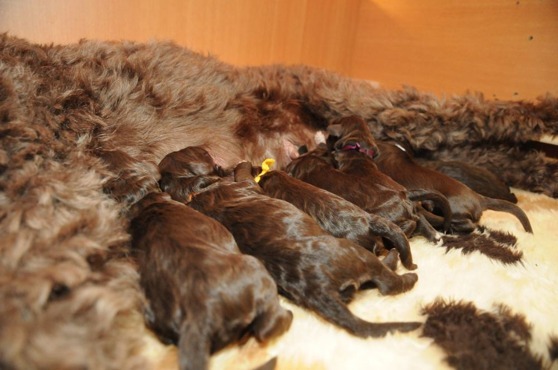 All puppies have already in four days increased their weight by more than 50 %. Is Moët making Miracle milk? The yellow girl was the lightest of the puppies when born, but she is strong and decided to take in on the others - she leads the gain weight with an 80% increase! Moėt with her magic milk!